Finger flexor tenosynovitis most often presents as a stenosing tenosynovitis, or trigger finger. 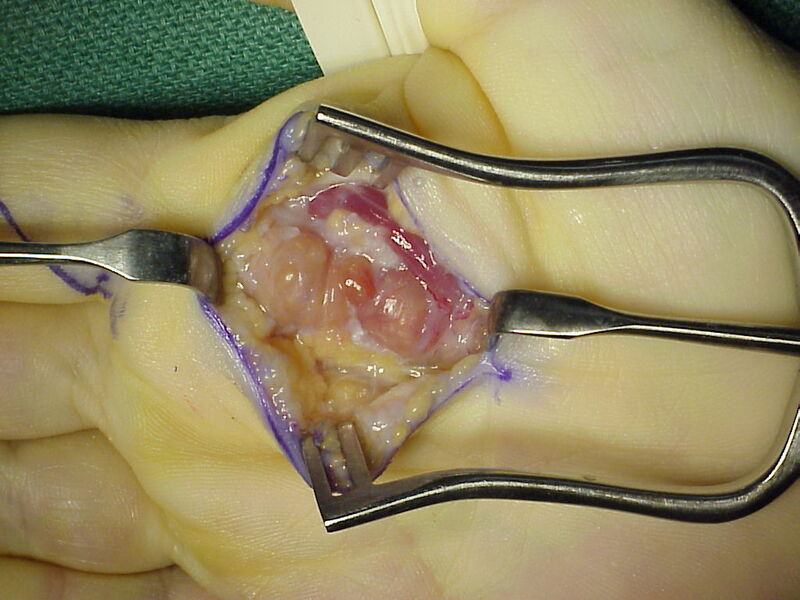 Dramatic proliferative tenosynovitis is uncommon, and should raise the suspicion of an infectious process. In this setting, steroid injection should be avoided because of the chance of precipitating a catastrophic septic diathesis. 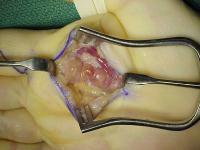 Rheumatologic evaluation is indicated, and if nondiagnostic, synovectomy with intraoperative cultures should be performed. This was the situation in the case of this patient. This young woman presented with fusiform index finger swelling and diffuse swelling at the palmar prominence of the metacarpal head and flexor tendon sheath. There was no history of injury, and rheumatologic evaluation was normal. 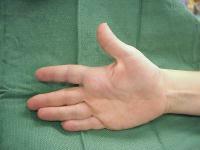 Proliferative inflammatory tenosynovitis was found. Pathology was interpreted as nonspecific acute and chronic inflammation, and all cultures (bacteria, fungus, mycobacteria) were negative. She has remained free of recurrence, but the diagnosis remains unknown.